Here is the second in what I hope will be a series of house projects that I’ll share on ShabbyNest on Fridays. The folks over there each week are just blowing me away. Maybe I should think of this blog as the “Small House Chronicles” too. When we moved in the first thing we realized (after a panic attack) was that we had bought a really structurally sound house (yay, home inspector) but it could actually be in a contest for one of the ugliest and least easily lived in. I remember wiping down the insides of the kitchen cabinets and realizing that they weren’t meant to be beige but were instead white. The former owner had smoked in the house for years and years leaving a nicotine film over everything. The first night we were there we ripped out pink, shag carpet that all the house’ dogs and cats had piddled on at some point in the past 30 years and surveyed the hardwood. We also unloaded a box containing liquor. Lots of bottles. We realized at that point that we had no place for them and as we needed to use an industrial sander for the floors we shouldn’t actually consume the contents. 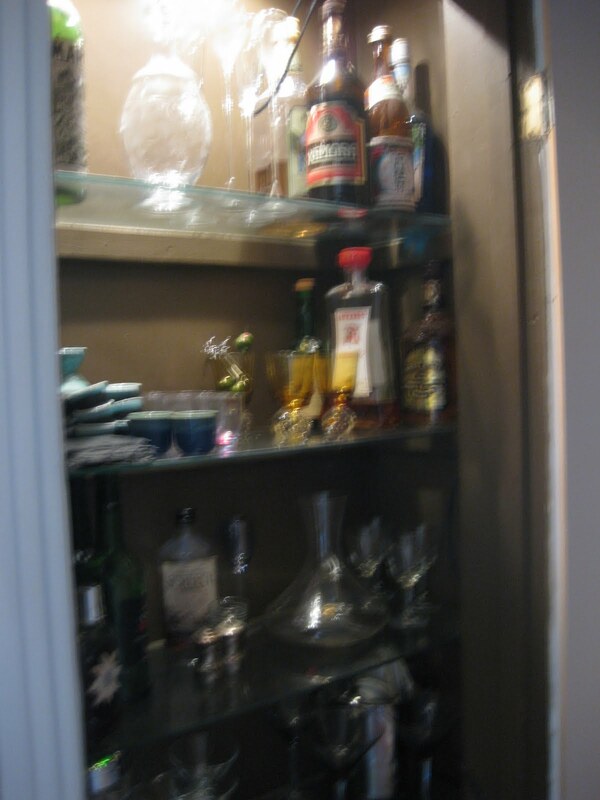 The bar closet was born. This is the closet in our hallway. It was likely a linen closet at one time but the addition in the 80’s had made it redundant. 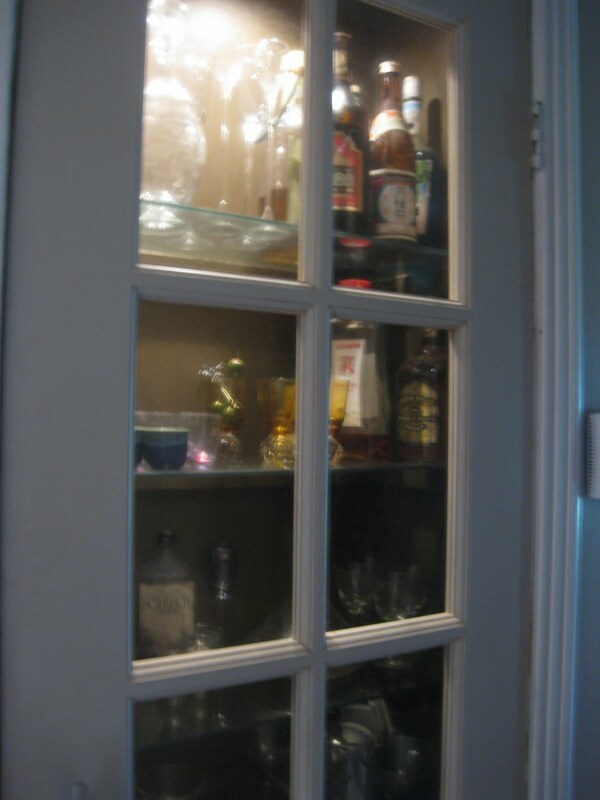 We simply put bottles and glasses in there at first but since we’ve added; glass shelves, a light and a french door. Painting the interior out with chocolate brown paint added to the ambience. I don’t know why these are such rubbishy photos but I’ll keep working at it.